The Guilford County Pet Responsibility Program is based on the award winning educational program developed by the Moore County Citizens’ Pet Responsibility Committee in Moore County, North Carolina. The Pet Responsibility Program is taught entirely by volunteers, and includes a total of six lessons for 4th grade students. The program is presented as an integral part of participating schools’ Character Education Program, and is linked to the NC Standard Course of Study and the National Common Core Curriculum. The Pet Responsibility Program is currently being taught in every 4th grade classroom in Moore County, and is being introduced in several other counties in North Carolina. Pet Responsibility students learn about the basic needs of animals (nutritious food, fresh water, warm and dry shelter, exercise, etc. ), the importance of having pets spayed or neutered to prevent pet overpopulation, how to keep their pets safe and healthy, and how to safely handle encounters with unknown animals. Students discover that they can be advocates for animals by sharing the information they learn about responsible pet care with their friends and family, so that Guilford County can be a safer place for people and animals. Guest speakers (including animal control officers) and visits from insured therapy dogs and their owners enhance the learning experience. 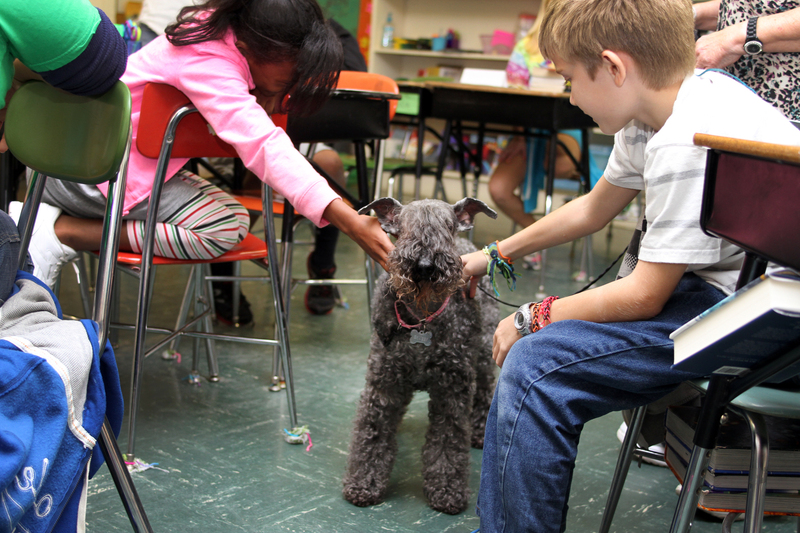 Pet Responsibility classes teach kids more than just how to take good care of pets. Students are encouraged to think about what it means to be a responsible person, and how the decisions that individuals make can effect entire communities. They also learn about patience, compassion, and the importance of standing up for others. The Guilford County Pet Responsibility Program is affiliated with Juliet’s House Animal Rescue. There’s a sad problem in North Carolina and throughout the Southeast. It’s pet over-population, and it leads to animal neglect, abuse, abandonment, and high euthanasia rates. And it’s not just animals that are affected. Pet over-population and neglect create serious health and quality of life issues for people as well, especially children. The risk of dog bites increases in neighborhoods with large numbers of unwanted pets, and witnessing neglect and cruelty towards animals can have real and lasting emotional impacts. The good news is that pet overpopulation is a “fixable” problem. Because of robust spaying and neutering assistance programs, some northeastern states like New Hampshire and Massachusetts no longer have to euthanize (put down) healthy, adoptable animals. The overpopulation problem has decreased so dramatically in these areas of the country, that shelters in the Northeast now regularly take in truckloads of unwanted dogs and cats from overcrowded southern shelters. Educating communities about pet overpopulation and its sad consequences is a critical part of solving the problem. This sounds like a wonderful program that I would love to have at my school. My name is Charma K. Harris, and I am the school counselor at Triangle Lake Montessori Elementary School which is located in High Point, North Carolina. Whenever I have discussed during my guidance classes the importance of taking care of pets, the students get so excited talking about the pets they have at home. I know they would greatly enjoy receiving information from your organization. Please feel free to contact me at your convenience. We’re about to start our fall classes at Northwood Elementary School in High Point, and would love to have you sit in if you can make it! We’re going to be there on Wednesdays from 1:30 – 2:30 starting on September 7th. Just let me know if you’d like to join us, and we’ll help you get signed in and to the right classroom. Can we get a program like this in TX? message. If you can gather a small group of volunteers interested in teaching, you can definitely build your own pet responsibility program. If you’d like to send me your email address, I can send you a pdf of the curriculum we use, which can easily be customized for your county. All of the videos we show students are available on our website, and I’ll be happy to explain any of our activities that you need help with. If you’d like to send me an email, my address is rubywescoat@hotmail.com. 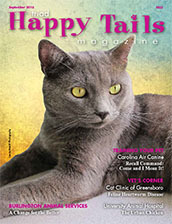 Program volunteer Allison Dunmore wrote about the program for Happy Tails. Article in the Kernersville News! 4th graders at Northwood Elementary had a great time visiting with retired sheriff Chris Hellier and his amazing search and rescue dog Raleigh. Mustang Connection students from Madison Elementary School partnered in November with the Guilford County Pet Responsibility Program and began a service learning project on animal nutrition and safety. Bluford Elementary Essay Contest Winners! Joyner Elementary 2014 Essay Contest Winners! Noble Academy Essay Contest Winners! Volunteer Jaimie Ashby with therapy dog, Ms. Squiggy, Anna Bagnoli, Angelica Cuebas, Isabella Munga, Maddie Hamuka, Sierra Poole, Katie Hassard, and volunteer Ruby Wescoat. In back, Commissioners Kay Cashion, Bill Bencini, Hank Henning and Bruce Davis. Kernersville Speuter Bowl Essay Contest Winners! New Article in News & Record!